This book is written in Korean. The first story of King Ko Kuk Won was first released in November 2011, and his story has finally finished. The author��s characteristic speedy writing style, detailed composition, organized summary, the appearance of unique characters and thrilling situations engross the reader. King Mi Chun Eul Bool, who took over Nakrang, has two sons named Sa Yoo and Moo. Everyone thought that the king that should lead Kogyuryeo next was Moo, who was strong, and no one doubted he would become king. However, Eul Bool didn��t choose the little brother Moo, who was called the foundations of king, and instead chose the older brother Sa Yoo. He did not choose the strong and courageous Moo and instead chose the weak Sa Yoo as his successor. After King Mi Chun dies, can the newly appointed Sa Yoo rule the country well? 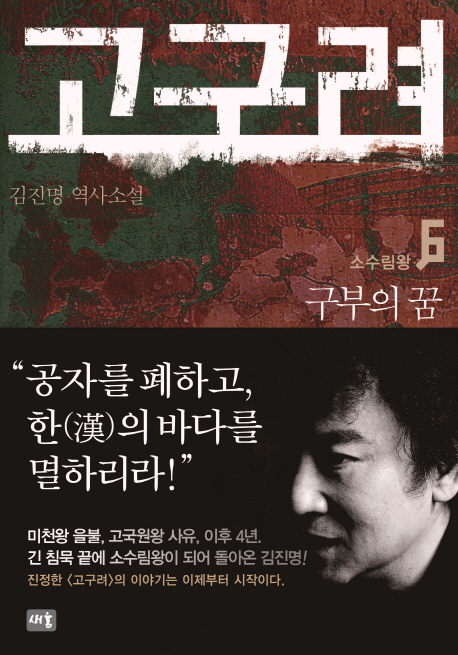 The times of King Ko Kuk Won is called the times of risk in Koguryeo��s history, and King Ko Kuk Won is chosen as one of the most miserable kings. However, he is a king who put his people above anyone else, and he was loved by his people. King Ko Kuk Won��s new side that Kim Jin Myung restores will engross the reader.